These are the instructions to root Xiaomi Mi4i (running on 5.0 or later) using the Mi4i Rooting kit on Windows Computer. Requirements: Your Device should have at least 20-30 percent of battery to perform the rooting process. Step 1: Download and install Xiaomi Mi4i USB driver on your computer. Step 2: Enable USB Debugging on your Device. To enable USB Debugging: Open Settings > About Phone > Tap on MiUi version (7-8 times). 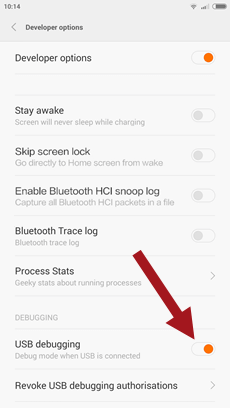 Now, Again go to the Settings > Additional Settings > Developers Option > USB Debugging > Tap to Enable. Step 4: Connect your Xiaomi Mi4i smartphone to the computer. Step 5: Now, Open rec.bat (from the Mi4i rooting kit). Step 6: Once, Mi4i Rooting Kit is launched, press 1 on your computer to begin the rooting process. Step 7: Now, your device will start in fastboot mode. Step 8: And after 4-5 minutes your device will be rooted and your device will restart. Step 9: Now, you will be able to see the SuperSU icon in the app drawer, which confirms your device is rooted successfully. To crosscheck, you can install the Root Checker application from the Play store to confirm the root status manually. [*] Alternative Method: There is a simple alternative to the above method is Kingroot. Its a Android Application which doesnt need to have computer to root the device. Simply Download the KingRoot APK > Install > Tap on Root. [*] Credits: The Mi4i Rooting Kit shared on this page was originally shared by Age Navigator and Super brother Master Space on MIUI Forum. So full credits goes to them. [*] Translation Credit: We have personally translated the Mi4i Rooting Kit, thats why we have added the credits in the tool.